Small-sized companies show eagerness in expanding the business but fail to understand the underlying need. One such thing when goes wrong hampers the entire business, and that is the bookkeeping process. Yes, owners think that accounting is a simple thing and most of the time gives less importance to it. Therefore, they don’t appoint experts to this role and do the work themselves. When there is lack of time, they start losing focus and mess the whole accounts. The business owners make some silly mistakes in accounting, which takes their entire business for a toss. TD Bank Survey pointed out that 60% business houses in the US do not have a dedicated resource to handle finances and hence failed in investments miserably. The fiscal health of the industry somehow gets compromised. The company might also face the problem of insolvency due to continuous errors in business. The beginning of the business must be active to reach a better end. Proper business planning comes in the forefront as it helps to make an analysis of market and how one should proceed. A business plan is an essential element for achieving proper calculations. There is a failure only when there is a lack of planning. Especially in finance, planning plays a significant role. 71%small firms fail due to improper financial planning. 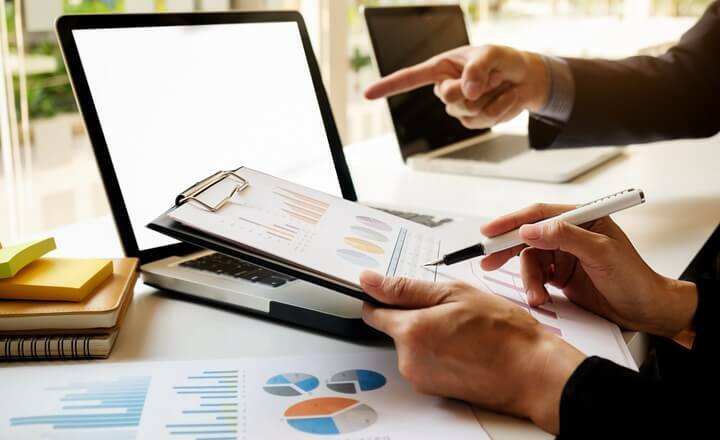 Small businesses always have in mind that they have to keep everything precise and accurate because of which they spend far too much time in the accounting process. If one involves only in the maintenance of books, then they are losing their time in earning money. Accounts should be adequately handled with the help of an accountant who has enough knowledge to let you gain in business. 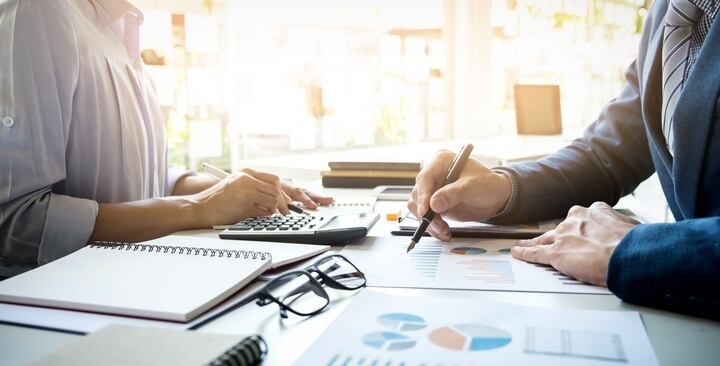 When it comes to business, income and expenses play an essential part, and that can be highly achieved with the help of the cash flows and net profits. Net profit brings into light the income generated by a business during a particular period in the industry. Net profit comes into the limelight once all the expenses have been paid off. When it comes to cash flow, it focuses on how much money moves in the business. 82%small business fails due to lack of cash flow management. The funds used in the company must be liquid so that they can be paid off quickly, which is possible by making a cash flow statement. There involves continuous handling of transactions when it comes to business. If there is a particular transaction which was not recorded, then it leads, to errors regarding omission. Every deal in business should be appropriately documented so there is no confusion during the year ending of the company. Not so essential operations also play an important part at some time of the business. When there is the small business involved, the chances are that the company will have a limited amount of funds to use in business. For this matter, there should be a plan as to how the money should be spent, which can be done entirely with the help of a budget. A budget helps to bring into light the past accounts and records, and they create a balance between the present and past, and any deviations can be corrected quickly. Around 13% companies with small investment fail due to lack of budget planning and invest in trivial things. There should be a reconciliation of the bank accounts so that there is accuracy in business. Statements of banks and the reports should match to show positivity in business. If there is no reconciliation then, there might be specific errors, which would not be removed from the business. This becomes a problem to calculate tax in the end. Entrepreneurs can be categorized into two types who suffer from the bookkeeping process. The first category is expensive hire and less investment in essential financial machines. The second category includes getting the entire device but less qualified employees without any potential to use that. Only 25% companies with less 50 employees have a dedicated CFO. A proper balance between the skill, software, and knowledge can result in a productive accounting procedure. The order processing, stock ordering, data input, etc., take up all time and attention. Someday it might seem like what is going on with the work. Upcoming sales rely on marketing and hence check for facts before you start. Long-life successful business can be achieved by handing over it to the next generation and for that marketing shouldn't be skipped. Schedule your month by keeping aside a minimum of 20% of time devoted to marketing strategies. Ideas to market products emphasize the distribution of the already existing line of products, getting rid of useless items and including fresh items, diagnose the various advertising tactics that can yield the maximum revenue and lastly set your marketing mediums. These are the fruitful steps to the victory. You should be a risk taker to avoid them. It doesn’t matter that you do your business from your house. You should be alert and sound to account various investments separately. This is widely observed that 69% entrepreneurs in the US start their business from home and tend to use the same credit card, which they use for expenses accountable to business, even for buying various household materials. This sort of messed up investments may complicate the book of accounts, making it tough enough to distinguish while paying tax, and thus the business shuts after four years since its inauguration. Even if the bills are a headache and a hard to keep it safe, you need to provide all document proofs of every investment to HRMC; either you spend for a cup of tea or filling fuel in the gas station. Business finances can be taken care by your accountants who are very important to any organization. Not giving any bills, not updating employee incentives and further vital data might create significant differences in the company as 65% of people does a better job with face-to-face presentation and hence provides success to business. Therefore, they have private talks quite often and bridge the gap. Ensure yourself about the meanings of every term and condition for a credit line. If you do not understand the interest value and fee, you might not get the enhanced credit score, even when you pay on time. Be aware of the full report and read out the printed pages to get the information about the card carrying a balance. This can be astonishing to know that one needs to pay tax every three weeks and needs to pay employment tax every two weeks. Maximum people who don’t know about finance do this blunder by thinking to pay tax and do documentations exclusively on an annual basis. It is essential to understand the pass-through taxing and plot accordingly. 50% small business fails when they are ignorant of tax terms. Due to lack of knowledge in tax process entire bookkeeping exercise fails. The first rule of business is that you should be very particular with the customers that you are handling. Staffs should be dealt with ease, or else they would not work for the business. When teams are kept satisfied, they work towards fulfillment of goals in the industry and in this way; growth can be seen in the business. Bookkeeping software's help in a great way to record finances, streamline the entire accounting operation. But companies don’t understand the basics and fear spending for tools. This leads to a disaster in the financing process, and thus the total business fails. According to the reports of CPA Practice Advisor, 18% of the small business sails in the boat of not purchasing any software and land up failing eventually. It doesn’t matter that you have initiated a thought to have a business smaller one or bigger, but what matters is appropriate human resource, equipment’s and give the job of accounts to these human resources. It is simple to omit blunders, which are small and not necessary if someone in your business firm notices such. However, some could be important and thus may create a profound impact on the economic condition of a business. The 15 blunders mentioned above are thus gathered for the advantage of entrepreneurs to understand their failure. If you can correct one mistake at once, then be guaranteed that in one year itself your business will soar in the business world. Outsourcing Insight is founded by seasoned professionals from outsourcing sector with 15+ Years of experience. We have in-depth knowledge and experience in the field of marketing,business process management, information technology and analytics. 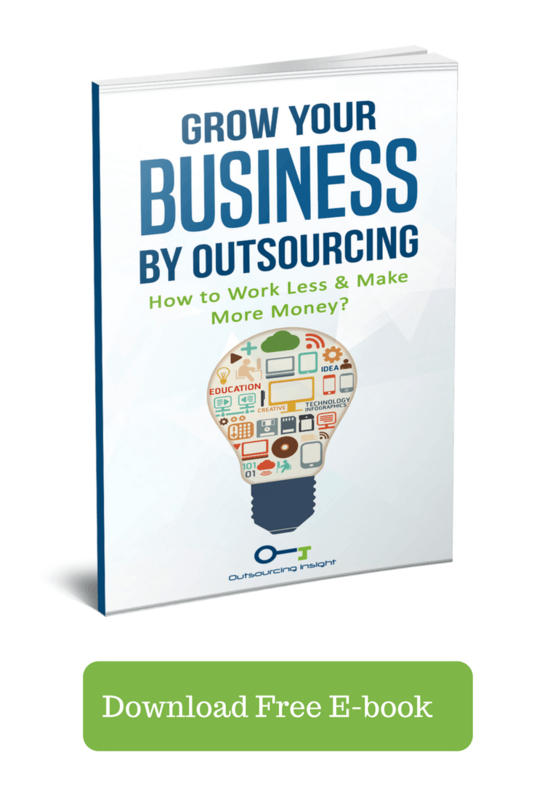 Read more on ​Outsourcinginsight.com or follow us on our Google Plus.